Tonight’s premiere of Louis C.K.’s controversial movie I Love You, Daddy has been abruptly cancelled, according to the Hollywood Reporter. A scheduled appearance on tonight’s episode of The Late Show with Stephen Colbert has also been cancelled, Variety reports. 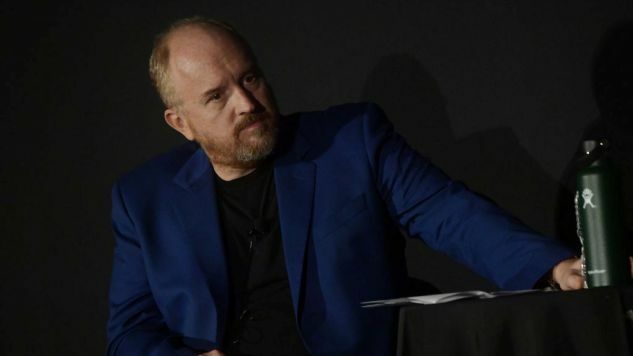 Both cancellations seem related to an upcoming New York Times story about long-standing allegations of C.K.’s sexual abuse of woman comedians, a subject that has come up repeatedly over the last few years but has never been fully addressed by C.K. or fully explored by any media outlets. Rumors have swirled about C.K. for years. Gawker alleged in a blind item in 2012 and a 2015 follow-up that C.K. masturbated in front of two unnamed woman comics in his hotel room at the Aspen Comedy Festival in 2008. Jen Kirkman later discussed a similar situation on a podcast involving a comedian whose description closely matched C.K. And C.K.’s new movie, I Love You, Daddy, seems to address these rumors, with Charlie Day playing a comedian who likes to act like he’s masturbating. In the wake of recent revelations about Harvey Weinstein, Kevin Spacey and others, it’s felt like only a matter of time before the C.K. allegations came under greater scrutiny. The Times story has not been published yet, but we’ll have more here at Paste as more information is released.